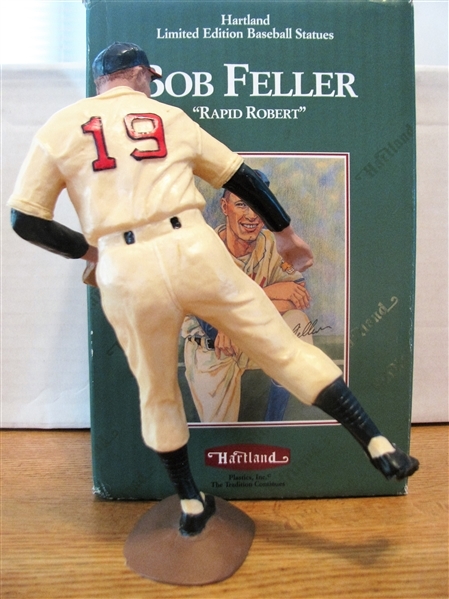 If you're a collector of Hartland Statues you already know that this 1990 Bob Feller Statue is nearly impossible to find. There are guesstimates that less than 25 of this issue exists. 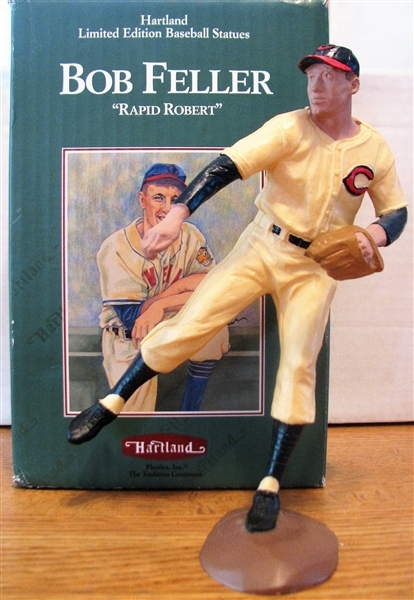 The statue is a beauty and shows "Rapid Robert" in his pitching delivery. It is scaled perfectly to display with the Original Hartland statues of the 50's/60's. It comes in its original picture box that is in excellent plus condition. 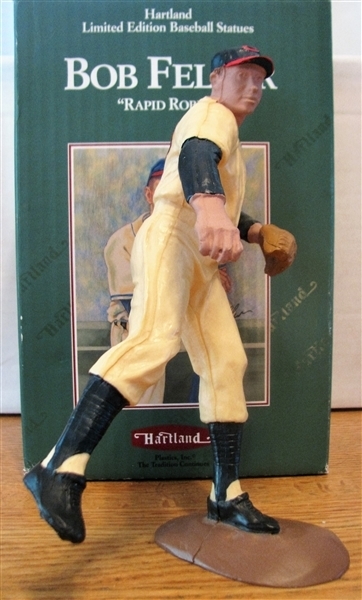 These statues are rarely offered for sale- so don't miss this opportunity to own this classic looking Hartland.